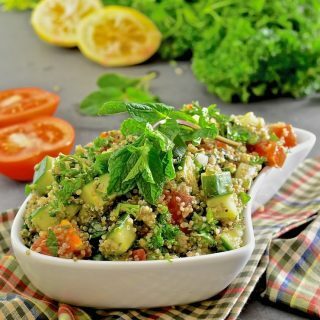 This Quinoa Tabbouleh is a breeze to throw together & combines beautiful, fresh & vibrant flavours. It is just one of many delicious recipes in the book Dining At The Ravens by Jeff & Joan Stanford. The Stanford Inn by the Sea is the only vegan resort in the United States and is situated in a picturesque and idyllic spot on a sloping meadow, surrounded by forest ridges, overlooking Mendocino Bay. It’s restaurant, lovingly called “The Ravens” after the pair of ravens who took up residence on the property in 1995, embodies a mindful, compassionate, and sustainable dining experience in an enchanting and unforgettable setting. Owners Jeff and Joan Stanford’s mission is to provide healthy, organic cuisine that rivals the finest Northern California restaurants. They demonstrate that healthy and satisfying food, produced and cooked with a lighter touch on the environment, can be a wonderful experience. They are on a mission to “seduce” those often suspicious of veganism by continuing to build on their reputation as an outstanding restaurant within a highly rated inn and by showcasing their wonderful menu. Through their book Dining at the Ravens, Jeff and Joan Stanford bring The Raven’s culinary experience into our homes and you get a head start with Quinoa Tabbouleh recipe which I am featuring today. You also have the chance to win your very own copy of the book in my giveaway (details at the end of this post). 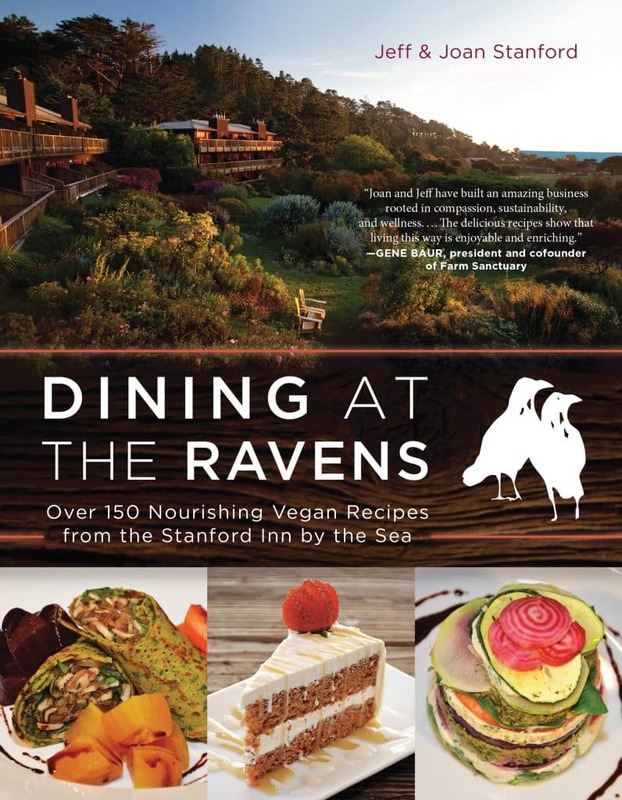 Dining at the Ravens features over 150 amazing vegan recipes as well as a charming history of the inn and restaurant. You will also find plenty of helpful cooking tips and even inspiration for creating your own garden. The recipes in the book range from those that are simple and easy enough for midweek meals through to those impressive enough for dinner parties. Categories include breakfast items, breads and baked goods, sauces, dips & spreads, appetizers & sides, salads and dressings, soups, entrees, desserts and pantry basics. 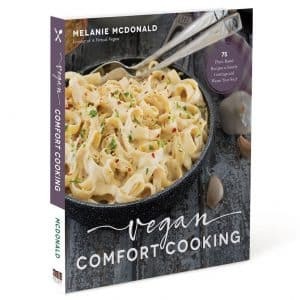 All of the recipes in the book feature whole, plant-based foods and the vast majority of them are very healthy. Something I really like about this book is that very few of the recipes call for any processed ingredients. As someone with a huge sweet tooth I was also pleased to find more than a few very indulgent and mouth watering looking treats. The amazing looking Pecan Torte will be making an appearance in my kitchen very soon! I don’t often have much time to cook other people’s recipes as I am mostly creating my own, but there are quite a few in this book which have caught my eye and which I will likely be trying in the coming weeks. The Citrus Polenta with Braised Garden Greens and a Creamy Toasted Cashew Sauce follows closely behind the Pecan Torte on my wish list, then there is the Chocolate Ganache Tart (you can find the recipe for this here at Vegonisty), Mushroom Pesto & Sundried Tomato Burger and the Indian-Spiced Kale & Potato Omelet. Honestly though, I would be quite happy to try every single recipe featured in Dining at the Ravens which is a real compliment as I usually find that cookbooks are like music albums. There are always one or two recipes/songs that you don’t really like! At the weekend I made the Quinoa Tabbouleh. It is an extremely easy to assemble dish and is incredibly healthy. It is great to make on Sunday’s ready to have on hand for quick lunches or dinners throughout the week. Cooking the quinoa is the most time consuming part of this dish. Once that is done and cooled, everything else is a breeze. The finished dish is fresh, vibrant and full of nutrition with amazing flavour from the very abundant fresh herbs, olive oil and lemon. This Quinoa Tabbouleh stores well covered in the fridge for a couple of days and the flavours continue to develop as it sits. It is also easily transportable in a mason jar or tupperware container so is perfect for packed lunches. I had some for my lunch today and enjoyed it so much that I went back for a second bowl! This is one of our favorite dishes: it is light, minty, and nutritious. As a great variation, fold the tabbouleh into mixed greens, baby greens, or simply torn butter lettuce. It’s also great alongside Cauliflower Ceviche (page 114), hummus, crudité, crostini, and homemade baked tortilla chips as hors d’oeuvres for a reception or a healthy Super Bowl party. 1. Combine quinoa, vegetables, herbs, lemon juice, vinegar, and salt and pepper in a large bowl. 2. Add olive oil in 1⁄4-cup increments, until the quinoa sticks together and tastes creamy. If you don't have golden balsamic vinegar, apple cider vinegar gives good results also. 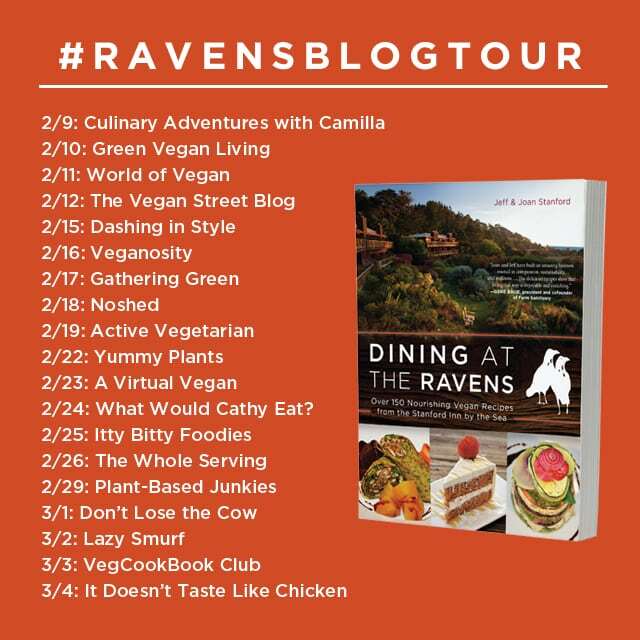 If you like the sound of Dining at the Ravens then be sure to check out the other stops on the blog tour where you can experience more of the recipes. You can see a list of them in the infographic below. 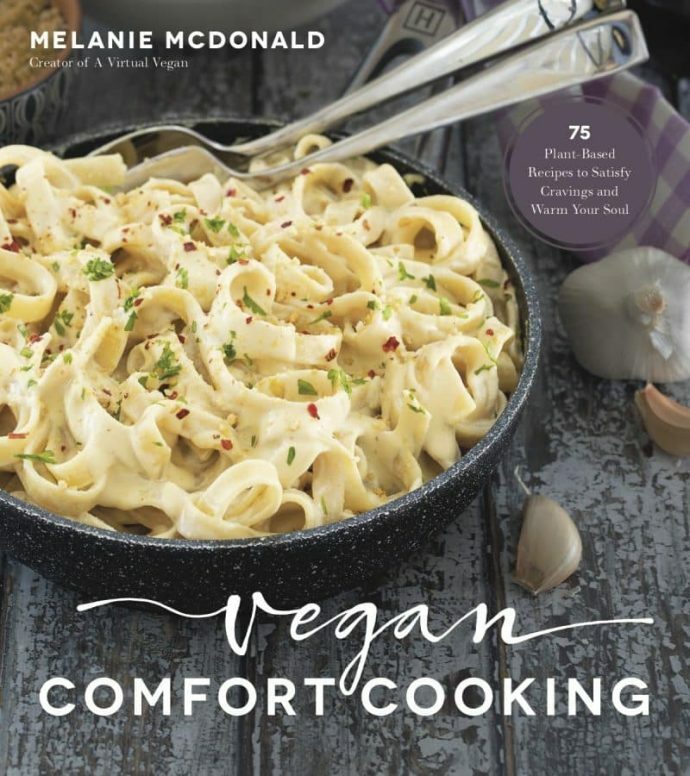 If you can’t wait to get your hands on a copy of the book you can purchase it here or you can enter my giveaway, courtesy of BenBella Vegan, by following the instructions in the widget at the end of this post. It is good & tasty. It sounds like heaven on earth! Enter my giveaway then you have a chance of winning a copy of the book. I would love to go to this vegan resort, it can be so challenging as vegans to find a variety of vegan food while on vacation. 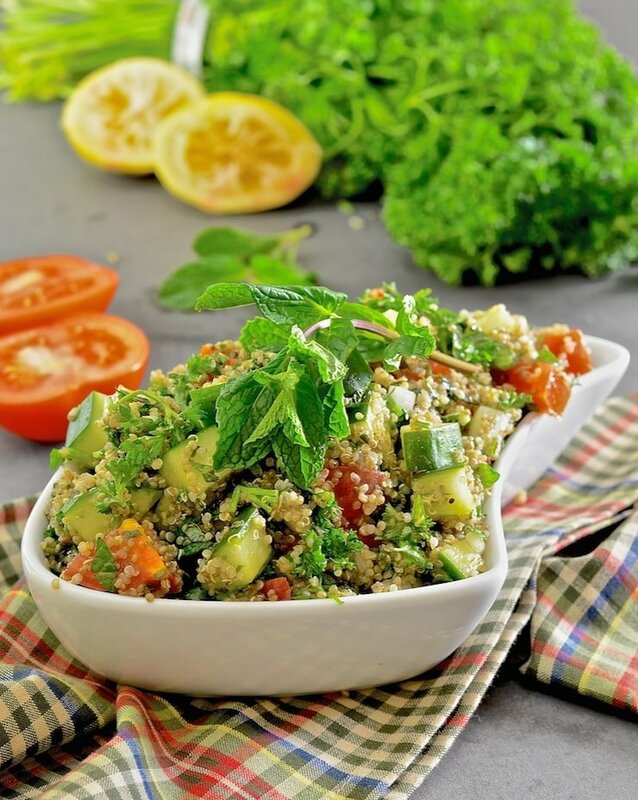 I love quinoa tabbouleh and this recipe looks delicious! Thank you Michelle. It looks such wonderful place and I agree it’s difficult for us on when on vacation. It would be so amazing to just be able to eat anything and not worry about what was in it! This looks perfect! I love that you add fresh chopped mint. It makes tabbouleh 100x better! What a beautiful dish Mel and I love all of that fresh mint and parsley!! Thank you Brandi. The fresh herbs make this dish what it is. It’s so fresh and tasty! Wow, I totally want to go to The Ravens. This salad is summer perfection and I can already picture myself sitting outside in the warm sun, digging in. 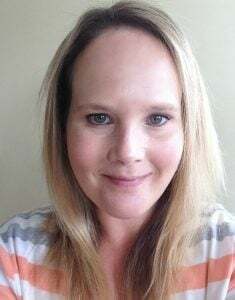 Your pics are _gorgeous_ Mel! Thank you Gin. All of those lovely colours and fresh ingredients helped with the pics. We need to organize a blogger vacation there!! This dish is bursting with protein! I love tabbouleh and the quinoa sounds awesome. What an awesome restaurant! I know! It sounds amazing. I have to go there one day. Sounds great! I totally want to go to this place! Me too. It’s now on my bucket list! Quinoa Tabbouleh is the only type I make now. In fact, it’s on my meal planning list for this week. Thanks for sharing the recipe. It’s always fun to see how others do it and change it up a bit. I think I will be making it with quinoa a lot now too. It’s so delicious! Oh my gosh I want this now! I have always been a tabbouleh fan, so this makes total sense. I always have frozen cooked quinoa in the freezer too. This dish is just waiting for a picnic! Keeping cooked quinoa in the freezer is a brilliant idea! Why didn’t I think of that? And Tabbouleh is perfect picnic food. It travels so well. Thanks for stopping by! I’m glad you agree with me on that cookbook/album thing. I was worried it might just be me! And yes it is nice to just switch off and follow someone else’s recipe once in a while. I need to do it more often! You’ve talked me into going the Ravens just by this recipe! It’s such a beautiful place. I need to get there one day! Quick and easy is what you need sometimes! Great review! I’m really enjoying reading everyone’s perspective of this gorgeous cookbook. Thank you for linking to my site. 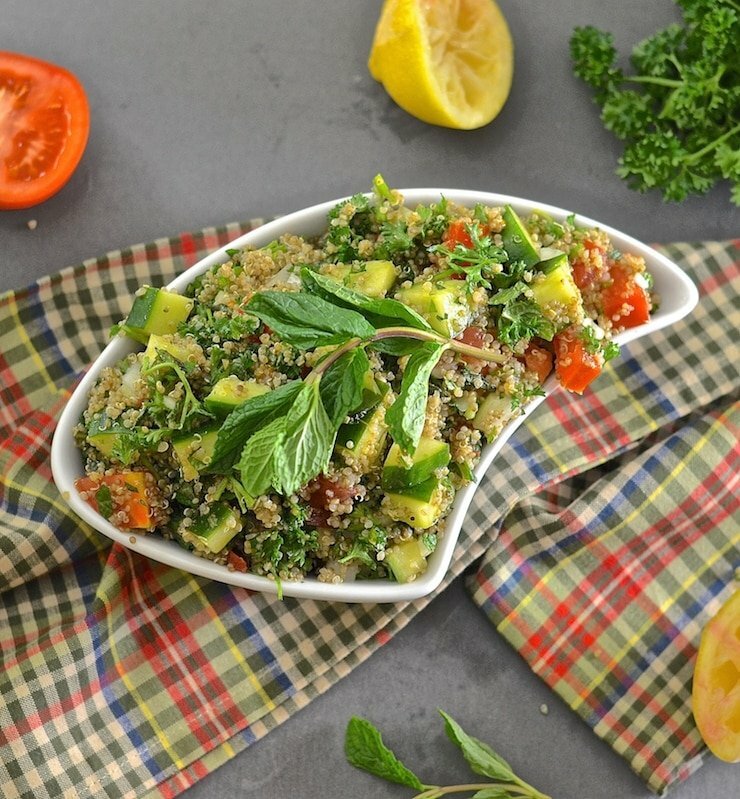 :) That tabbouleh looks so good, I want some for breakfast. Thanks Linda and you’re welcome :O) This book was such a pleasure to review wasn’t it? I loved the story of how it all started and the recipes are so good. Now I just need to get there someday and I’ll be happy!